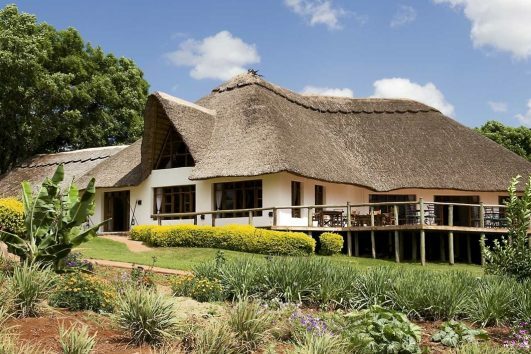 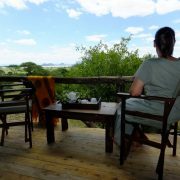 The Sangaiwe Tented Lodge is one of the finest upper mid range tented lodges that is located in the Tarangire Area to serve the Tarangire National Park. 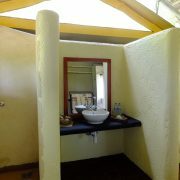 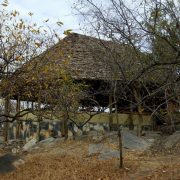 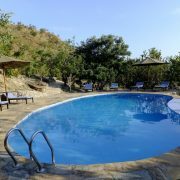 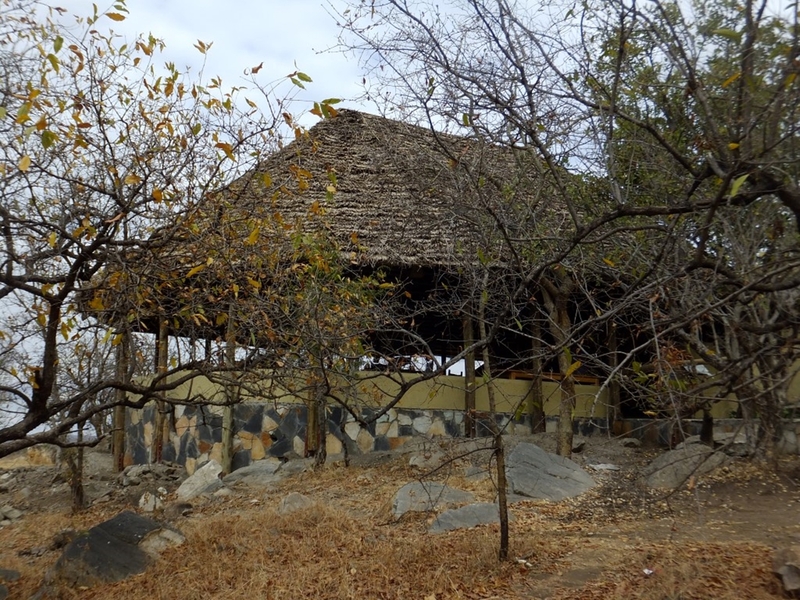 The tented lodge is a fine accommodation located near the newly opened Sangaiwe Gate to the Tarangire National Park. 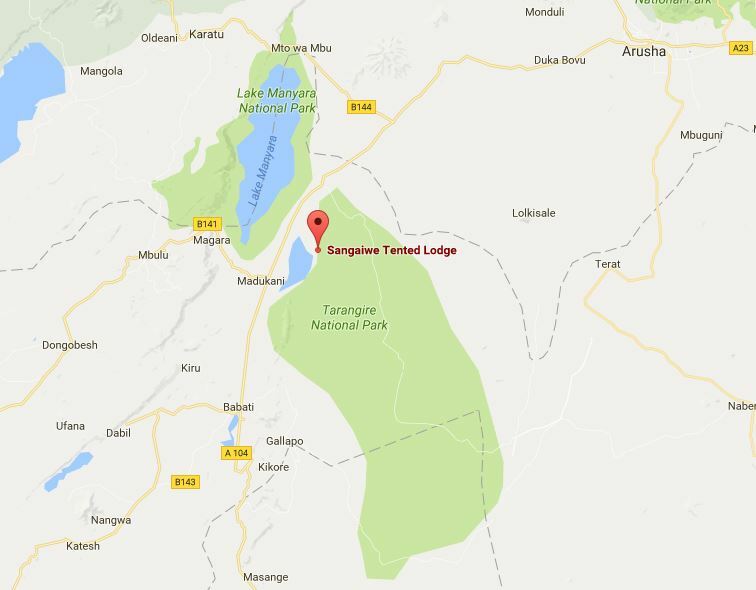 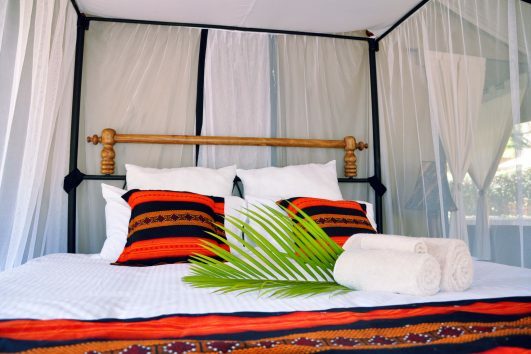 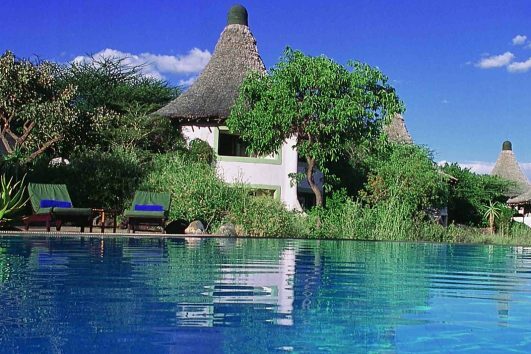 The Sangaiwe Tented Lodge is beautifully situated in a forty acres Community land (bordering the Park), and from here you can enjoy stunning views of the Lake Burunge across the plains and the Escarpment of the Great Rift Valley beyond. 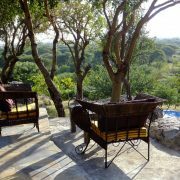 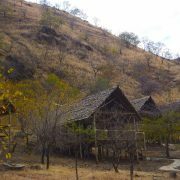 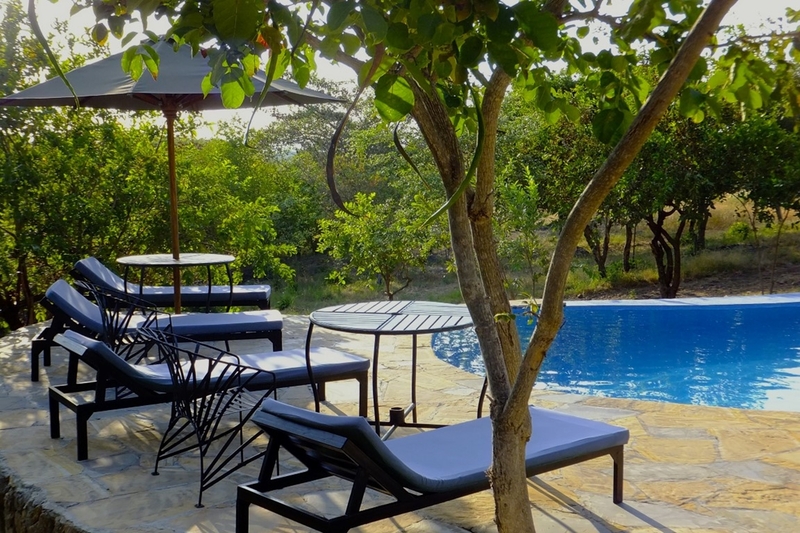 The Tented lodge is located in a beautiful wooded hillside with beautiful trees around the lodge including the local indigenous African hard wood trees. 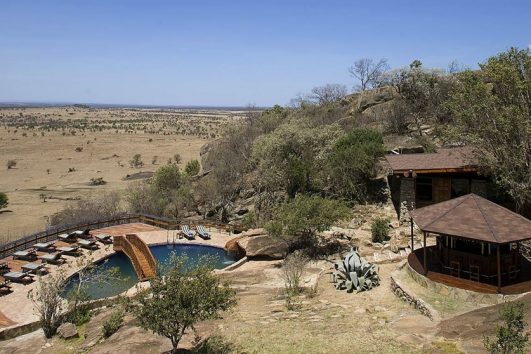 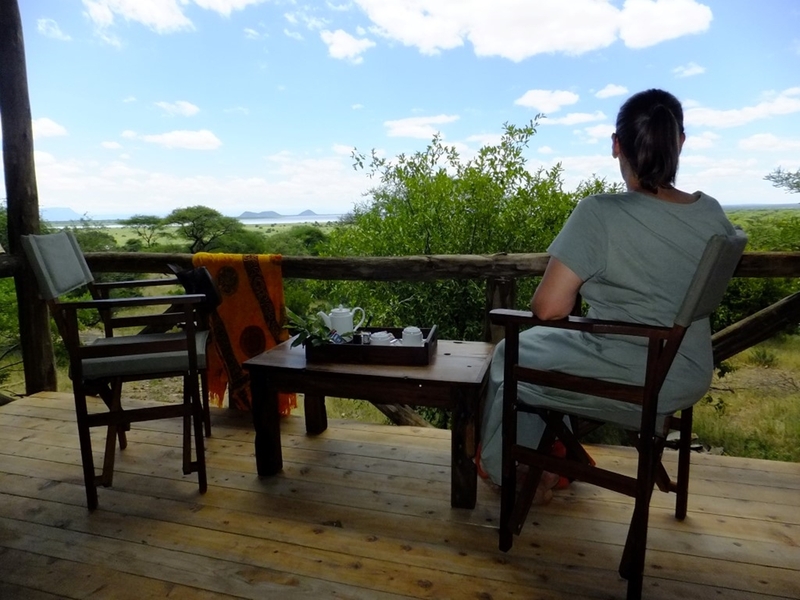 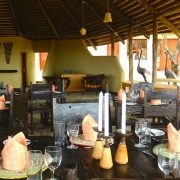 The lodge’s location allows for that ‘out of Africa’ feeling as you enjoy relaxing at the deck of your tent savoring the beauty of the African Savannah plains beneath. 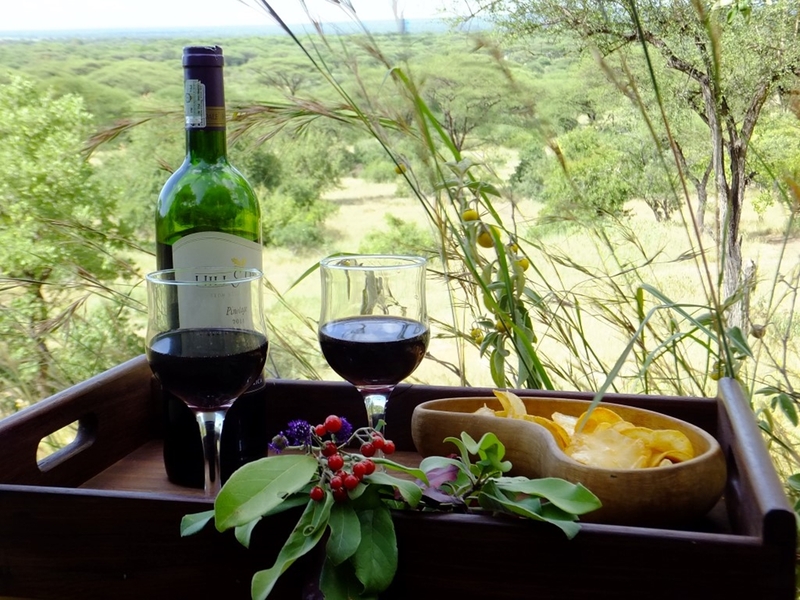 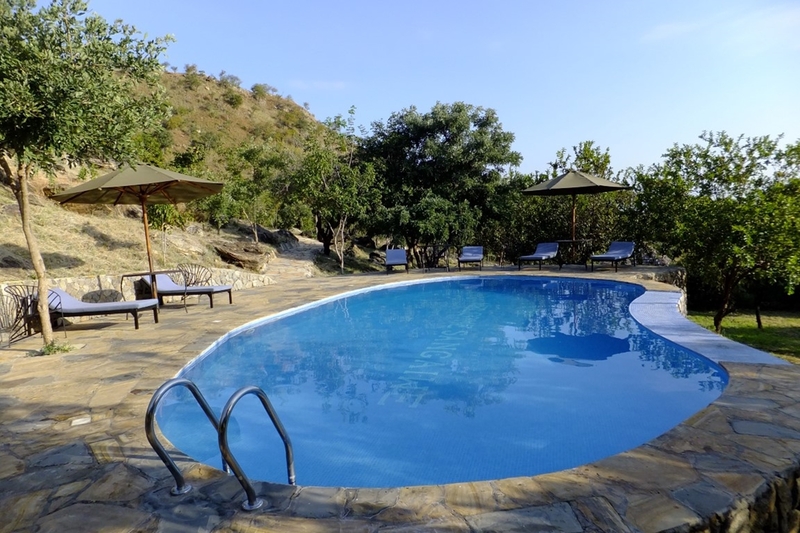 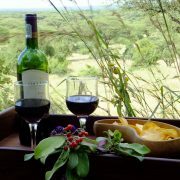 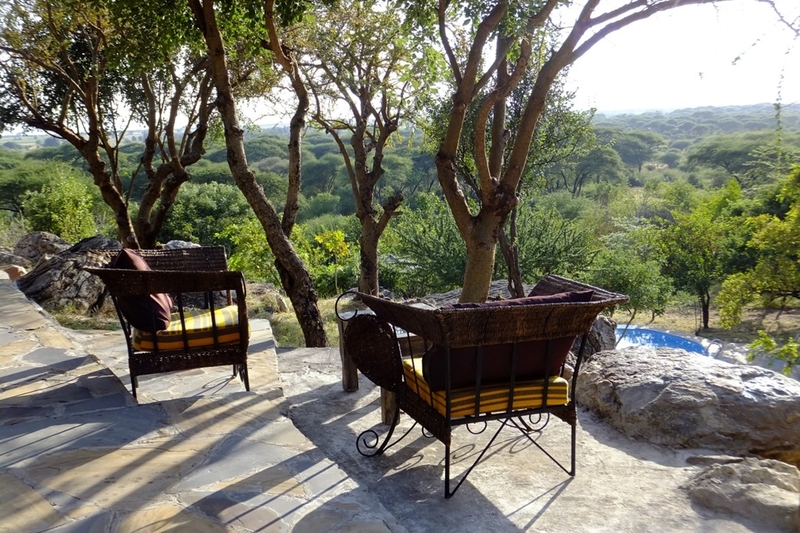 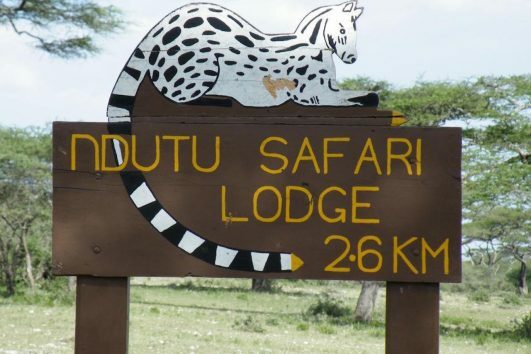 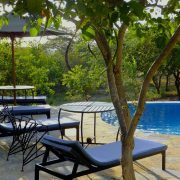 Here you can enjoy your favorite drink while relaxing after a day of safari in the Tarangire National Park or you can choose to go for a guided walk accompanied by the local Maasai Community who live in this area where wildlife wanders in and about the lodge area. 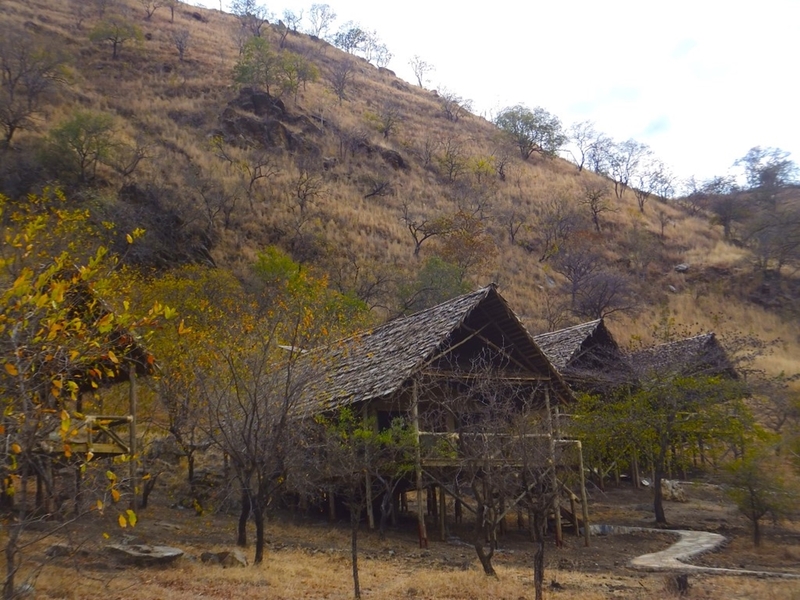 The area is sparsely populated farmland where maize, sesame seed and cotton is grown in the surrounding area. 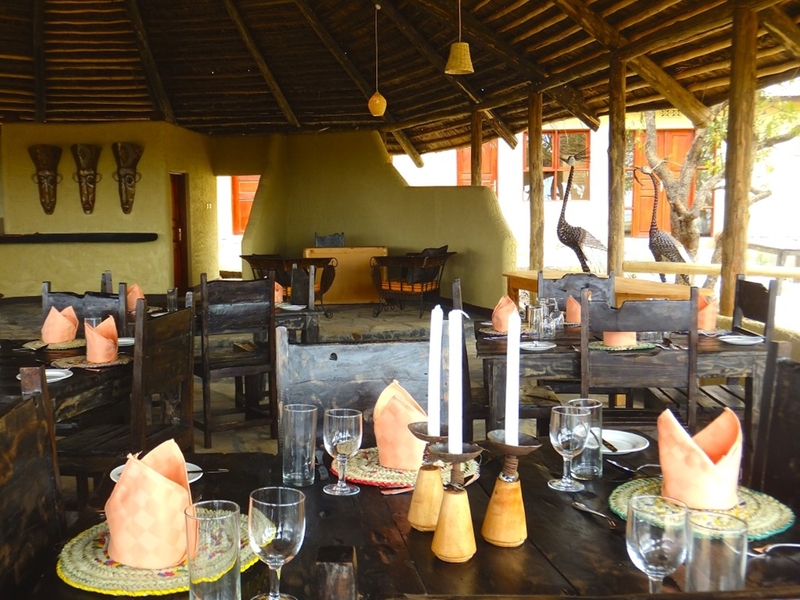 Sangaiwe Tented Lodge in Tarangire boasts of great service from the friendly staff and fresh food, most of which is locally sourced. 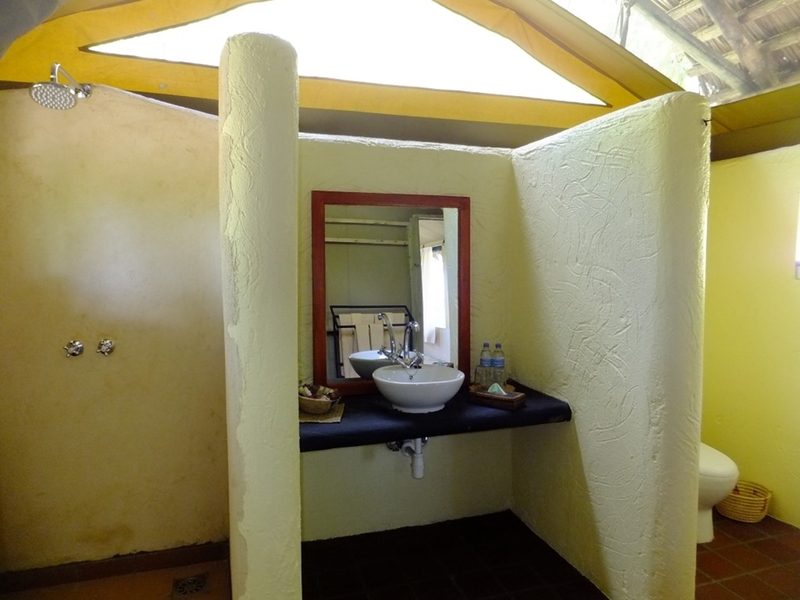 The rooms at Sangaiwe Tented Lodge are beautifully constructed canvass (walk in) tents which are set on raised wooden platforms with a solid bath room (with over head shower), toilet (flush toilets) and the dressing area. 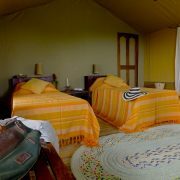 Each of the spacious elevated tented rooms has either Double beds (1 Big bed) or Twin room (with two beds) , a writing desk, and all have enough places for luggage and to cap it all; indoor and outdoor sitting. 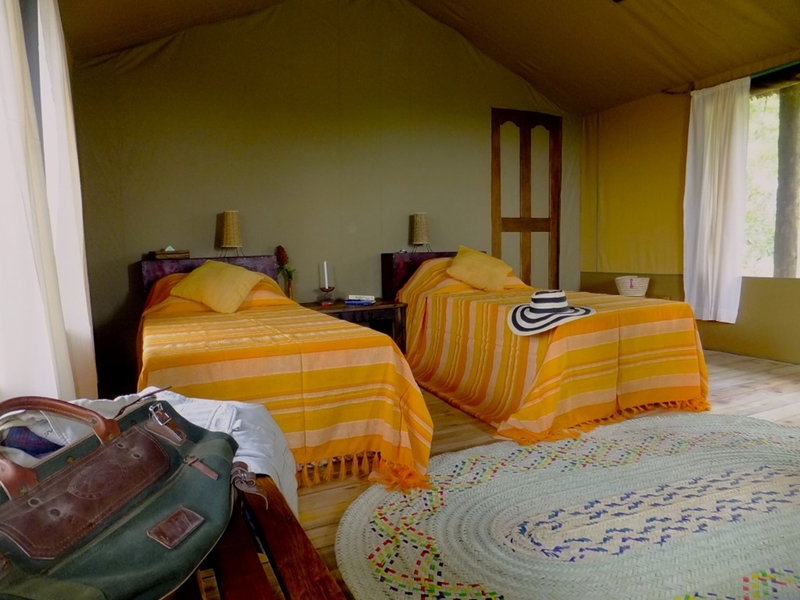 Next time you go for your Tanzania Safari holidays, and you want Tarangire national Park included in your program, remember Sangaiwe Tented Lodge as you home away from home.